This is a great and easy way to make festive ice cubes that infuse your water as they melt! 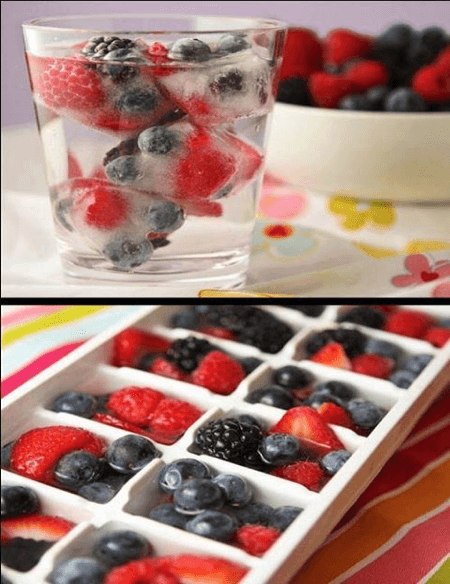 Simply add strawberries (and/or raspberries) and blueberries to an ice cube tray, add water and freeze. Very refreshing!